Composite doors look and feel like timber but have all the benefits provided from modern high tech structural, thermal and security materials. 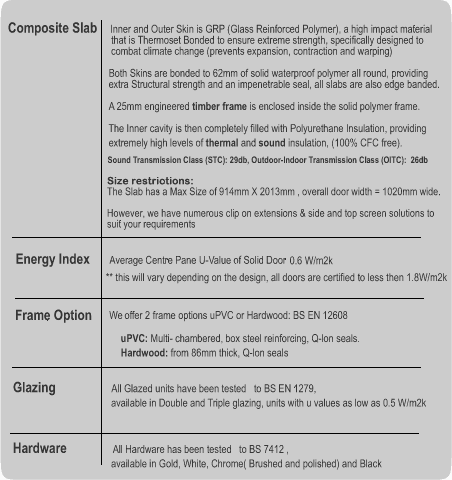 Our range of composite doors is both cost effective and versatile with strong redwood definition that can be easily painted or factory finished. Composite doors can be used in many projects from new build, refurbishment and replacement. A composite door will enhance the appearance and comfort of your home. Our composite doors combine modern materials and performance with traditional looks to enhance the character of your home. Available in a wide variety of styles, colours and glass choices, they’re designed to meet your every need. Please take a moment to review the door gallery below. Our range of Composite doors are designed to suit virtually all styles of home and includes doors and sidelights from the most simple to the more ornate. With the Classic door you get the look and feel of wood without the disadvantages. The Classic range is both cost effective and versatile with strong redwood definition that can be easily painted or factory finished. The Classic door can be used in many projects from new build, refurbishment and replacement and will enhance the appearance and comfort of your home. The Sheeted door is similar in grain definition to the Classic range, but they have a sheeted effect, giving the look of a more traditional door. The Sheeted door features a tough compression moulded paintable fibreglass surface that is far superior to timber or UPVC. Ideal for new build and refurbishment projects, both in the public and private sector markets. 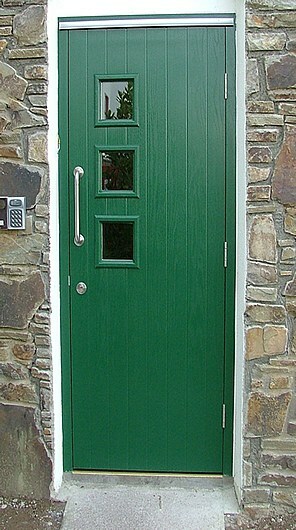 We understand the importance of securing your front door so all composite doors get a 6 point lock at no extra charge. This Includes 3 Deep deadbolts, a latch and shoot bolts top and bottom. To complement this lock we provide high security cylinders, SBD handles and hinge side dog bolts.